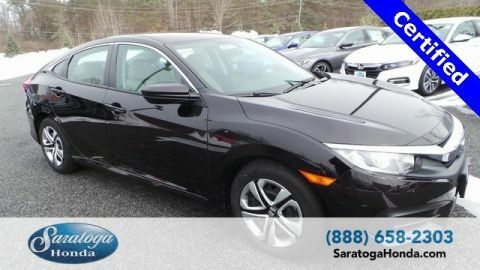 ****Honda CERTIFIED, CLEAN CARFAX, Keeler Rewards Program. 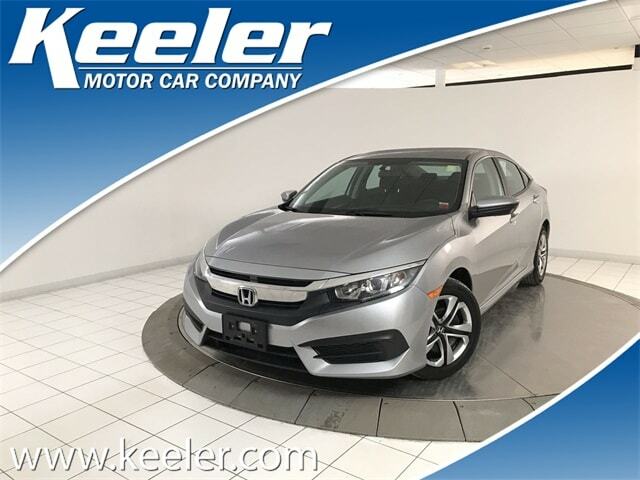 2016 Honda Civic LX Silver Metallic CARFAX One-Owner. 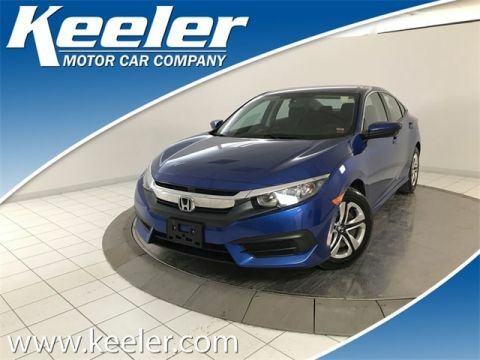 31/41 City/Highway MPG Honda Certified Pre-Owned Details: * Powertrain Limited Warranty: 84 Month/100,000 Mile (whichever comes first) from original in-service date * Warranty Deductible: $0 * Limited Warranty: 12 Month/12,000 Mile (whichever comes first) after new car warranty expires or from certified purchase date * Roadside Assistance with Honda Care purchase * 182 Point Inspection * Vehicle History * Transferable Warranty Our team is professional, and we offer a no-pressure environment. Wed be happy to answer any questions that you may have. We are here to help you and look forward to assisting you! 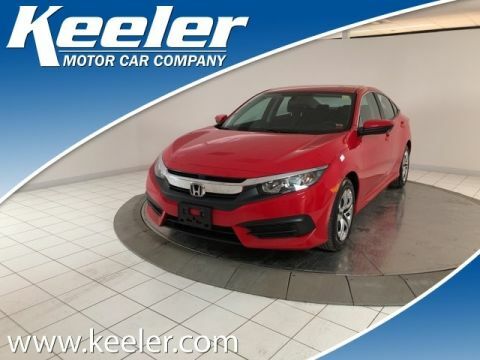 When you purchase a vehicle from Keeler Motor Car Company, you will automatically be enrolled in the Keeler Rewards Program! This program offers several incentives including exclusive discounts with local businesses, and you will earn bonuses, free gift certificates, and even credit towards a future vehicle purchase with every dollar spent at Keeler Motor Car Company. Visit www.keeler.com/rewards/index.htm for more information and a list of local merchant partners.